60% of the British population are paying 30% more on their electricity bills than they should be and electric heaters are one way of cutting the cost. 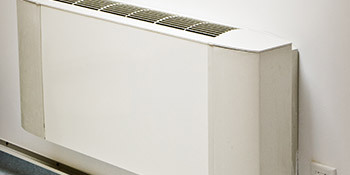 Electric heaters are able to provide a quality form of heating that’s both controllable and reliable. What’s more you’ll have a low running cost compared to other heating appliances and be in full charge of the controls. Electric storage heaters are common, using energy during the cheaper night rates and distributing heat as and when it’s needed. Electric heaters have a greater reliability than other forms of home heating such as gas boilers, which limits the risk of a breakdown. Breakdowns can be a huge inconvenience, costing both time and money to have any issue repaired. Electric storage heaters take energy from the Grid at off peak times, ensuring that the cost of heating is lower as opposed to more traditional forms. Heat is then released throughout the day and night, ensuring warmth. Another advantage with wall mounted electric heaters is the easy installation. This is largely down to the fact pipework isn’t necessary and low installation costs make it a viable way to assist with your home’s heating. There are no restrictions for where it can be installed either. The safety levels of electric heating are another factor, with no fuel burnt on the premises. This means there’s no risk of carbon monoxide poisoning or any other gas leaking from the unit. On top of this, there isn’t the need for annual servicing. Electric heating has become popular in the UK for a number of reasons including cost, reliability and safety. If you’re interested in changing the way your home is heated, complete our quick form and receive up to four FREE quotes from local, vetted and reputable suppliers. They were prompt in contacting me, I had a visit from them and have now received a written quote for the project, so I just need to get back in touch and sort some final details with them. they were the only company from Quotatis that actually took the time to contact me. Homes are given an energy ranking based on exactly how efficient they are and ratings are displayed in the data down below. This varies from A, by far the most energy efficient, to G, the very least efficient. With a higher rating you're more likely to have less costly energy bills as more heat shall be kept in the home. You can improve your home's efficiency with insulation such as double glazing, loft lagging or wall cavity insulation. The information below indicates the diverse types of properties in Uk. By far the most commonplace properties throughout the United Kingdom are detached and semi-detached properties. Other kinds of households consist of terraced houses, flats, converted flats and bungalows. The pie chart beneath illustrates the percentage of households in Uk which are central heated and non-central heated. Central heating figures within the majority of UK homes, which includes those on the gas grid and properties heated by oil and electric. The data beneath illustrates the spread of houses warmed by different fuels. Around the UK the most frequent by far are gas heated properties, followed by electricity and then oil. Biomass central heating boilers are also rising in popularity, heated by green products including wood pellets or agricultural waste.|Houses in Britain are heated up by a variety of fuels, which include gas, electricity, oil, solid fuel and LPG boilers. Each fuel has a varying cost associated with it and that means you could find yourself with less expensive energy bills by switching how your house is heated. Even solar thermal panels are being considered by many as a way to cut heating bills for the many years to come.